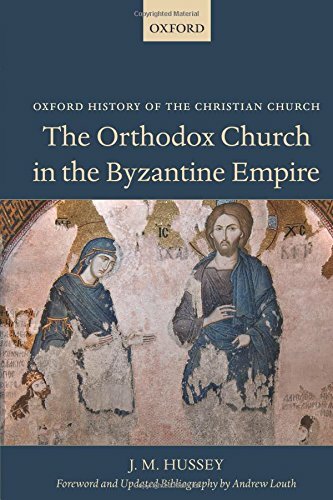 This book describes the role of the medieval Orthodox Church in the Byzantine Empire (c.600-c.1453). As an integral part of its policy it was (as in western Christianity) closely linked with many aspects of everyday life both official and otherwise. It was a formative period for Orthodoxy. It had to face doctrinal problems and heresies; at the same time it experienced the continuity and deepening of its liturgical life. While holding fast to the traditions of the fathers and the councils, it saw certain developments in doctrine and liturgy as also in administration. Part I discusses the landmarks in ecclesiastical affairs within the Empire as well as the creative influence exercised on the Slavs and the increasing contacts with westerners particularly after 1204. Part II gives a brief account of the structure of the medieval Orthodox Church, its officials and organization, and the spirituality of laity, monks, and clergy.